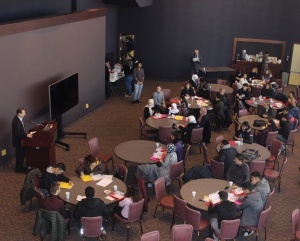 As the population of international students at Youngstown State University increases each semester, the International Programs Office (IPO) started the United Penguins, a group dedicated to helping international students transition into life in the United States. Nathan Myers, the associate provost of the IPO, said he created the concept of the group two months ago. He said there were a couple problems that the IPO was trying to solve and there have been challenges associated with being an international student in the United States. He said they face difficulty meeting people, finding a place to eat and having transportation around the area. Myers said he lived on campus when he came to YSU for the first six months. He said it allowed him to live like a student and become aware of difficulties in living without any transportation. Myers said he saw a large group of new international students that were trying to walk to Walmart from 5th Avenue last semester. “No one should feel that there is a problem that cannot be solved, whether it’s a social problem or transportation problem,” Myers said. According to Myers, there were more than 90 applications for 15 open positions in United Penguins. United Penguins is divided into four teams: an activity team, a transportation team, a marketing team and a university life team. Fourteen United Penguins students leaders were selected by considering their grade, life experiences and other criteria. He said most of the positions are filled by students from different countries to help represent the perspective of their nationality. Ahmed Awad, a senior electrical engineering major, is the leader of the transportation team of United Penguins. He said he has been working for IPO since last summer. He said he was not very active prior to being involved in the IPO even though he joined some social events. Meeting more people made him enjoy living in the United States more. Awad said United Penguins are more focused on international students. “People want to go where they feel like they belong. We hope international students will join us and we hope we can gather as much as we can so that we can all have a fun experience and time,” he said. Jiwon Mun, a sophomore biology major, is a member of the housing life team. She said she was looking for a job on campus for a long time. She applied for all of the positions that she was qualified for when a job opened at IPO last semester. Mun started at YSU in the English Language Institute (ELI) in 2016. “I wanted to get to know new people at YSU not just my classmates,” Mun said. 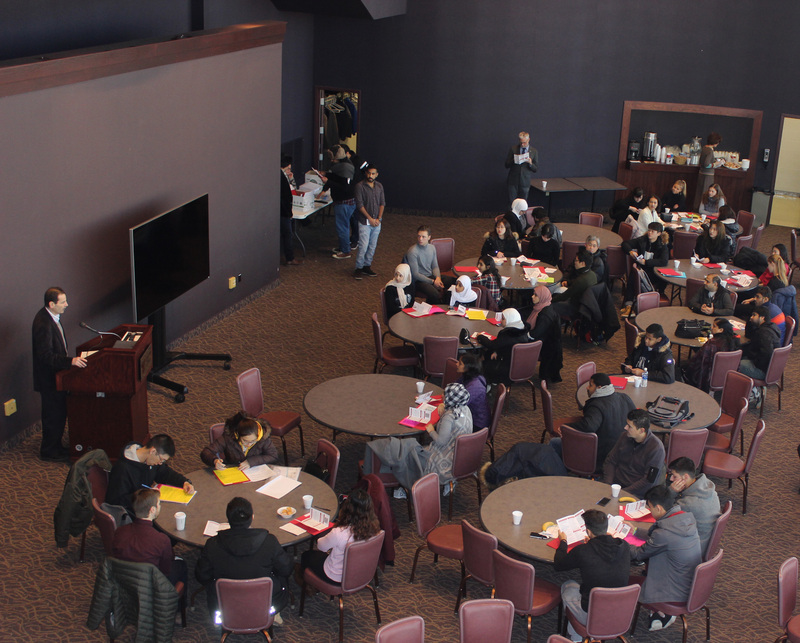 She said those experiences from her first years at YSU would help new international students. She said the United Penguins are friendly and open to everyone. There are team activities, which provides for collaboration within the international community at YSU. Way to go Penguins! Being an international student away from home is difficult, compounded by our complex culture and language problems. Welcoming and assimilation assistance must come from numerous sources like the Penguins to aid these young people embarking on life’s journey. Most struggle in their efforts and need guidance from schools’ international departments, immigration protection, host families, concerned neighbors and fellow students, and even informative books to extend a cultural helping hand so we all have a win-win situation. Good luck to all at YSU or wherever you study or wherever you come from, because that is the TRUE spirit of the American PEOPLE, not a few in government who shout the loudest!